Bio – Raúl Quiñones-Rosado, Ph.D.
Raúl Quiñones-Rosado, PhD, is a liberation psychologist, author, racial justice educator, and life/leadership coach. Through workshops, courses and coaching based on the consciousness-in-action approach, Dr. Quiñones-Rosado supports personal and professional development, authentic leadership and community organizing for social transformation. For over thirty years, Dr. Quiñones-Rosado has been committed to integral change. Founder and Principal of c-Integral, LLC, he trains, mentors and coaches social justice workers, helping professionals and others also committed to liberation and transformation. 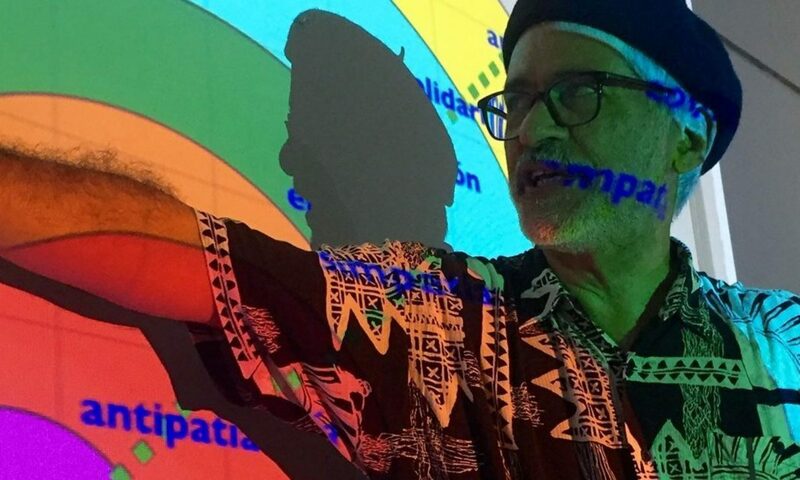 His work focuses on decolonial models of well-being and development, structural and psychological dynamics of social power, social identity development, antiracist community organizing, Latino leadership development, and psychospiritual practices for personal and cultural transformation. Dr. Quiñones-Rosado established the Institute for Latino Empowerment (1992) and co-founded Ilé: Organizers for Consciousness-in-Action (1998), leading numerous empowerment, leadership development. organizational transformation and anti-oppression community organizing efforts. As a founding member, he supports the on-going antiracism movement-building work of Colectivo Ilé and other liberation struggles in Puerto Rico. A racial justice educator across two cultural contexts, Dr. Quiñones-Rosado has facilitated antiracism workshops and organizing in both Puerto Rico and the United States since 1990. Currently, he is a Senior Trainer with the Racial Equity Institute. Previously, he was a Core Trainer of The People’s Institute for Survival & Beyond’s Undoing Racism workshop. Dr. Quiñones-Rosado has taught undergraduate and graduate courses at the University of Puerto Rico and at Prescott College (Arizona). He holds a doctoral degree in Psychology, specializing in integral and liberation psychologies. His interdisciplinary studies and training also includes: transpersonal counseling and Psychosynthesis coaching; neurolinguistic and neurosemantic (cognitive) psychology; spirituality and consciousness studies; cultural studies; antiracist multicultural organizational development, and; martial (karate and taijichuan) and healing arts (Reiki). His studies and training is grounded in a lifetime’s work in communities-of-struggle and supported by personal practice that includes meditation, mindfulness, biohacking, music, photography and journaling. His book, Consciousness-in-Action: Toward an Integral Psychology of Liberation & Transformation, is required reading in graduate programs in psychology, counseling and social work, and is cited by leading international scholars of liberation and critical psychology. His writings on Latino identity, racial and social identity, liberation from oppression, cultural transformation, and integral well-being, appear in academic, political, spiritual, and professional publications. These works, both in English and in Spanish, are used by social activists, diversity consultants, helping professionals and anti-oppression organizers engaged in local struggles and global movements. Raúl has lived, worked and engaged struggles-for-liberation in both the US and Puerto Rico. Twenty years after having returned home, once again he has become part of the latest wave of Latin American political-economic refugees in the US. He currently resides in Greensboro NC.